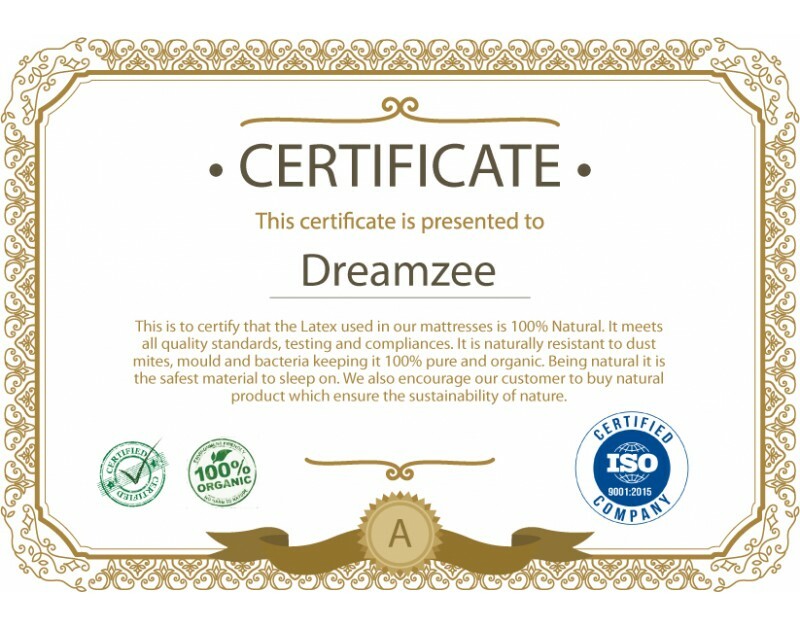 Dreamzee 100% Natural Latex Plus Memory Foam Hybrid mattress is a perfect solution for all the bed problems. Lets take an overview of what exactly natural latex is?? 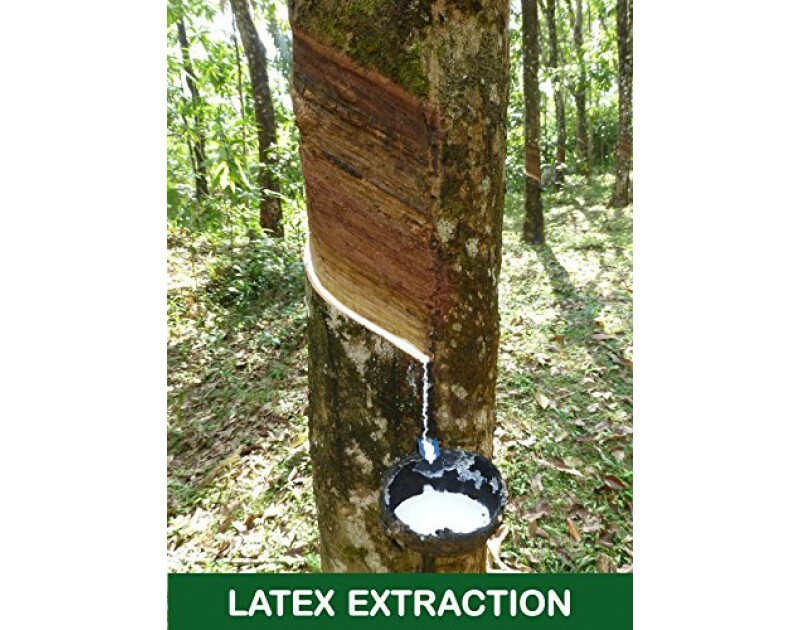 Natural latex is a milky white liquid, which is extracted from the Hevea-Brasilienis tree, better known as the rubber tree. In rubber trees a small piece of the bark is carved away, and latex quickly begins flowing from that cut to containers below. The latex then further processed and is used as a primary product in the mattress. 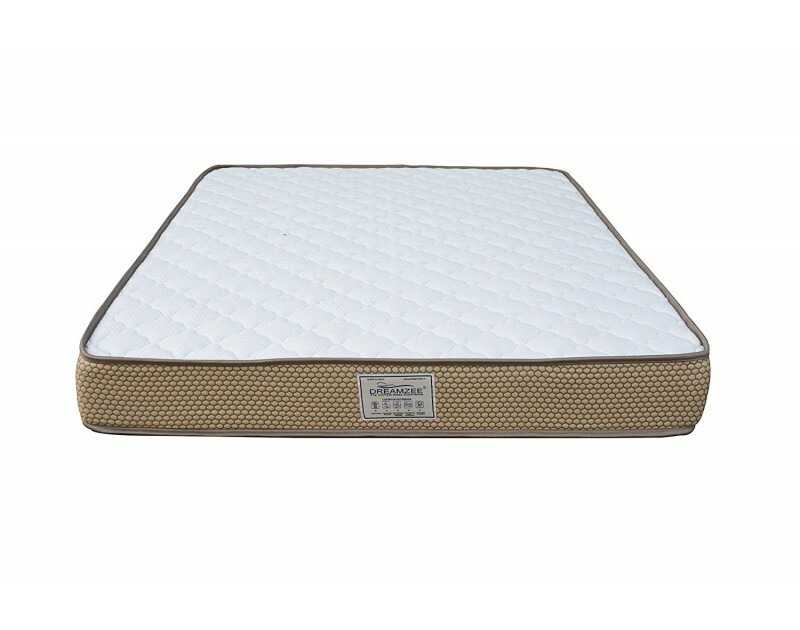 Comfort: Natural latex at the top provides cushion for pressure points like hips and shoulders allowing for a comfortable and restful night's sleep. Memory foam beneath the latex gives good support and cushioning. No Disturbances - Motion isolation is one of the best features associated with latex mattresses and Memory foam mattress. Motion isolation means that when one partner rolls over or tosses and turns, movement on the other side of the bed is barely noticeable. This makes for a much more pleasant sleeping experience with fewer disturbances. Healthy - One of the biggest benefits of natural latex is that it is a healthy and safe material to sleep on. It is antibacterial and anti-fungal as well. 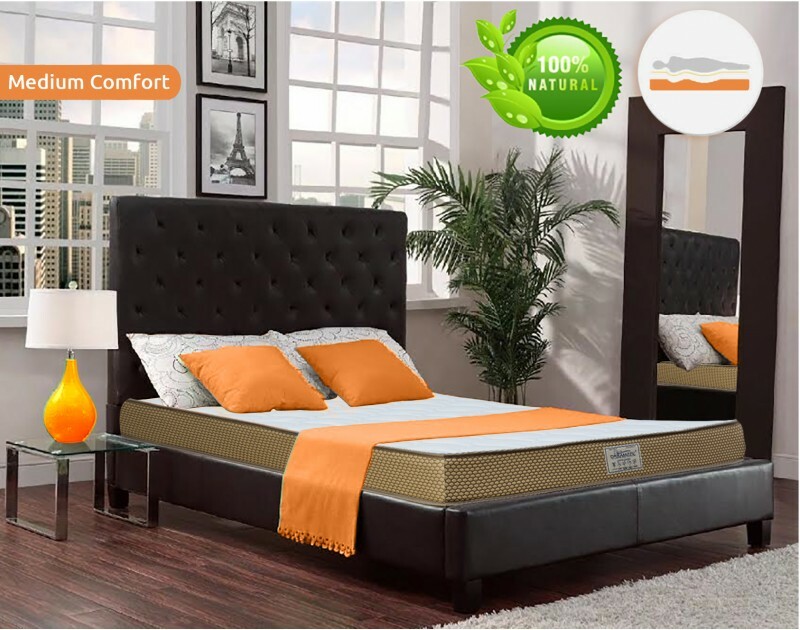 An excellent air circulation is provided by the open-cell natural structure of latex that allows for good breathability, resulting in a comfortable sleeping temperature. Longevity - Last but certainly not least, the latex mattresses are one of the most highly durable mattress types available. If you are going to purchase a mattress, it makes financial sense to purchase a very long-lasting one. Having a mattress that is so elastic and personalized, being organic and even biodegradable, topped off with being a long-term budget-friendly solution is a win almost any way you look at it. But the best part of a natural latex mattress is the quality of sleep it provides! Comfort Level - It provides the unique balance of Medium Soft Comfort with proper support for the spine. It has the ability to relieve the pressure points. 100 % Natural latex - It comprises of 1" Natural Latex . Being natural it is healthy material to sleep on. It is naturally resistant to dust mites, mould and bacteria without the use of any chemicals. It is made with Dunlop process with Pin-core formation. 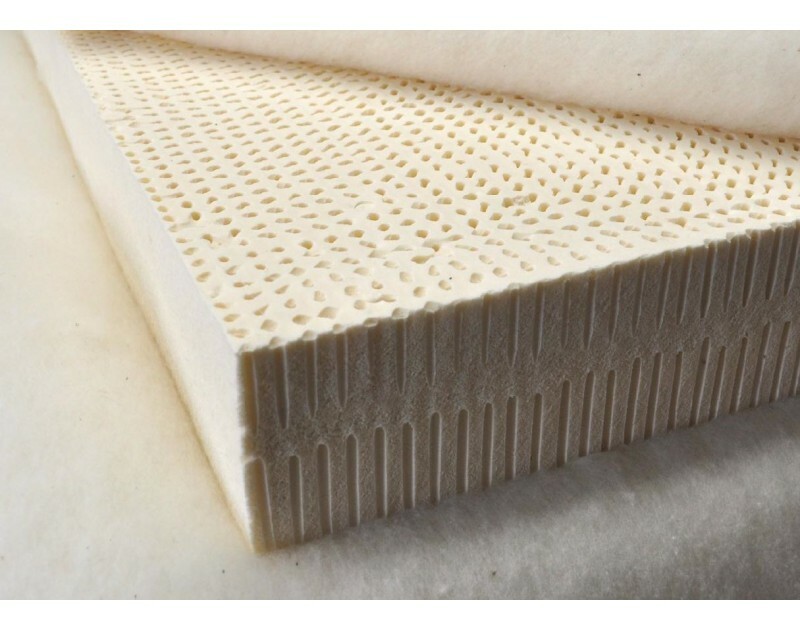 Cool Memory Foam - It comprises of 1" Cool Memory foam for luxurious comfort. High Resilience Foam - We have used HR foam at the bottom to give good support for the back. Climate Control Technology - It will keep you Warm in Winters and Cool in Summers. Fabric - Organic Modal Fabric quilted with organic cotton layer . Certification : ISO Certified and ECO INSTITUT Certified. Warranty - Direct from factory having 7 years manufacturer warranty.